"Lambada" by Pinduca, one of the classics of latin music. 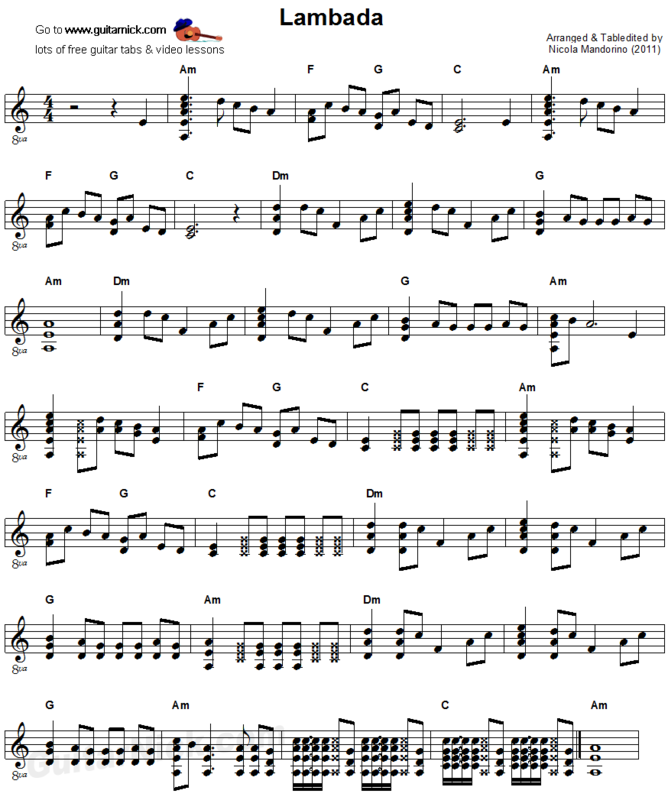 This is my acoustic arrangement for flatpicking guitar solo with chords and melody. The first part is easy for beginners. The second one is more complete with ghost notes, the percussive sounds of the pick on the strings. 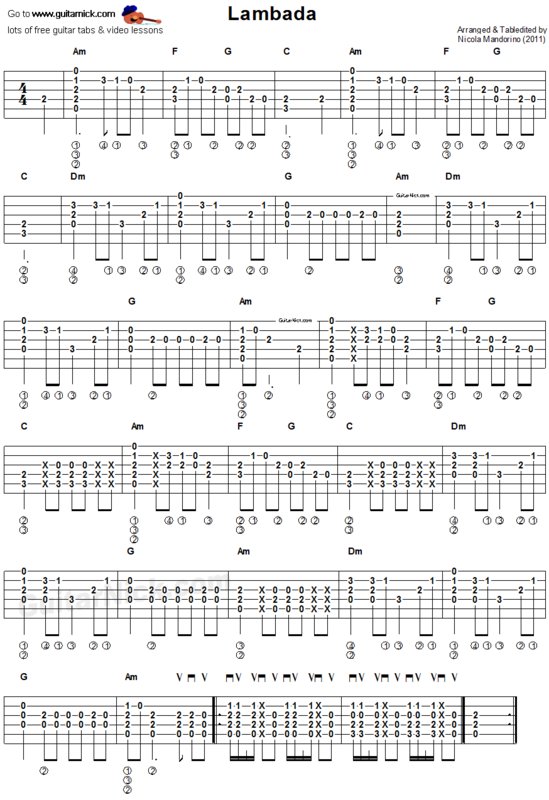 Free guitar tablature, sheet music, chords and video tutorial.